Glass containers, packaging and fixtures project quality. Heavy, crystal-clear Acrylic Fixtures are only a small step down from Glass in this Beats Speaker Acrylic Pedestal and Label Holder display. An insert helps define the clear Acrylic pedestal, with thick walls conveying solidity and quality. 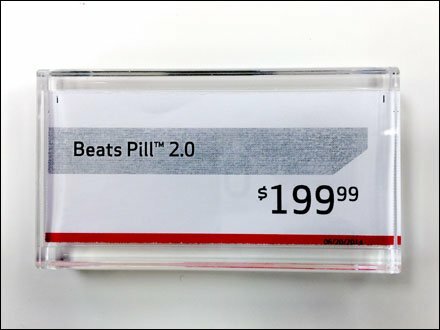 The titled Price Ticket looks embedded in the Acrylic, but actually slides in from the side. Glass would be better, but only slightly so. 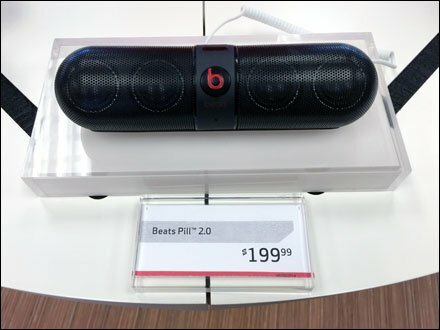 Consider this Beats Speaker Acrylic Pedestal and Label Holder in the gallery of images.